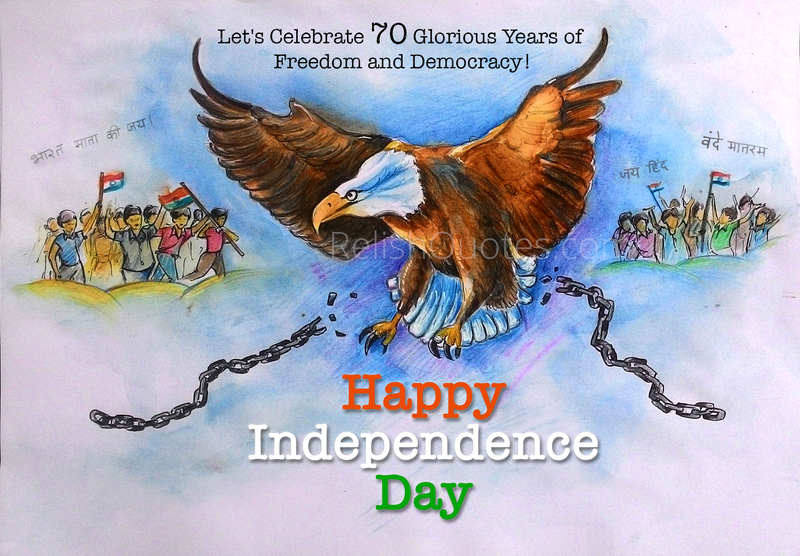 Celebrate 70 years of Independence of India, Happy Independence Day! Today is the day of pride and honour for all Indians living in India and spread across the globe. While world is watching, we are celebrating the 70 glorious years of Freedom and Democracy after we got independence on 15th August 1947. Being the largest democracy in the world is not a small thing and successful adoption and preserving the democratic foundation is really an achievement. This is the nation that has developed itself on all fronts in past 70 years – be it Education, Sports, Science, Technology, Business and Agriculture – we have done remarkable progress. India holds the special distinction of developing a Nuclear capability as well as reaching to planet Mars all within this short span of 70 years. This stands tall amidst the fact that India has achieved this success after brutally been ruled and exploited by British for nearly 150 years and after suffering the wounds of partition with neighbouring country Pakistan. We Indians should be proud of these achievements as well as be aware for the future challenges. Lets stay united and pledge to do our bit to contribute to our country’s development and carry its glorious legacy and tradition.